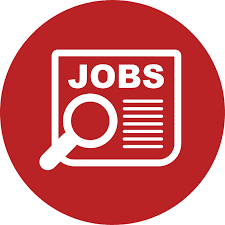 PSI seeks an experienced, dynamic and innovation-driven Chief of Party (COP) to lead an anticipated $50 million 5-year Malaria Surveillance and Vector Control USAID-funded project in Tanzania with an anticipated award date of December 2018. This position will be based in Dar Es Salaam, Tanzania and will report to the Country Director. Lead implementation of a large malaria award in Tanzania. Ensure that activities are implemented according to technical guidance from the donor and global best practices. Develop and manage country workplan activities, performance indicators and targets, ensuring timely completion of activities against workplan deadlines. Lead the development of quarterly/ annual programmatic reports. Produce and disseminate knowledge products and processes (toolkits, case studies, best practices, technical briefing documents, peer review publications, etc.) for national and international audiences to accelerate rapid transfer of best practices. Ensure strong country level coordination with partners and PNLP. Ensure strong international coordination with PSI headquarters and PMI. Represent the malaria project as required at relevant technical working groups, conferences, workshops, and policy-oriented forums using appropriate media. Facilitate senior level policy and dialogue with the sub-national governments and relevant Ministries and partners. Lead internal and external program planning and reporting including annual work planning with sub-award partners. Develop and manage a team that includes members of diverse backgrounds, including finance, and marketing. Develop business plan outlining financial sustainability of the initiative. Ensure sound financial management including programmatic budgeting, spending projections and monitoring of payments. Relevant post-graduate degree (MPH, MBA, MSc, ME, etc.) or equivalent implementation experience. Minimum 10 years of successful experience as Project Director or large donor-funded technical assistance teams for project of similar magnitude and complexity in developing countries. Progressively responsible supervisory experience, including: direct supervision of staff; quality evaluation of staff performance and deliverables. Experience working on large scale LLIN campaign distribution, supporting continuous distribution of LLIN in country through ANC, EPI or other channels, and/or leading research focused on LLIN coverage, durability, and efficacy. Demonstrated skills in effectively negotiating with host governments, donors, UN agencies, other USAID projects local organizations and partners. Ability to manage agreements and all required programmatic and financial reporting requirements, including sub-grants management.